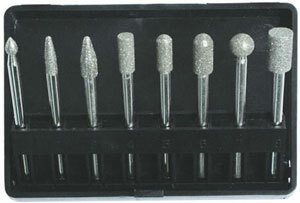 Electroplated diamond mounted points & diamond burs with a large variety of specifications are extensively used for sculpturing, dressing, precision grinding and internal grinding carbide, ceramics, glass, precious stones, alloy and many other abrasive materials. 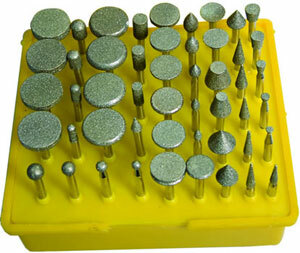 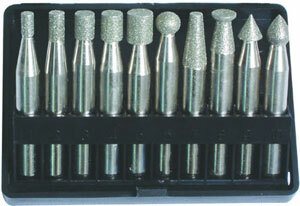 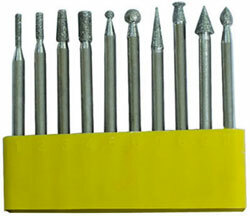 Kit assortments of mounted points and burs are flexible. 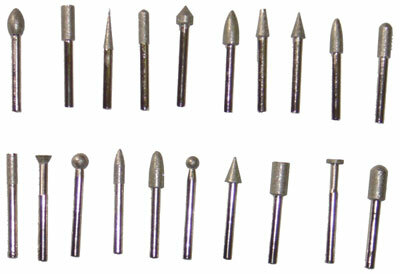 For more designs please visit mounted points & burs series.